Just 5 minutes' walk from the beach, the Novotel Nice Aéroport Cap 3000 hotel welcomes you to the Mediterranean coast. If you're travelling for business, the hotel's modern and intimate meeting rooms are perfect for your professional events. For fun as a family, the outdoor play areas await. 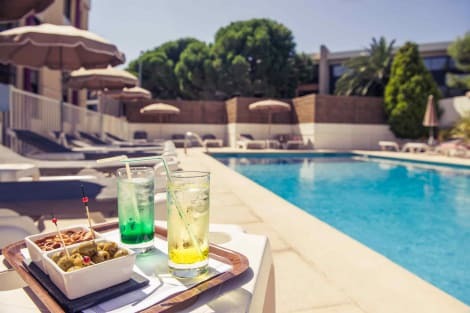 Enjoy time out by the pool, with a shaded terrace surrounded by greenery. Take to relaxation like a duck to water at Novotel. 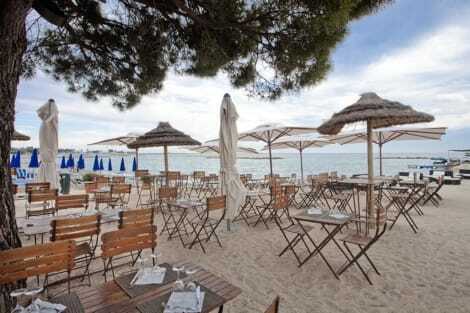 Stylish seafront hotel close to Nice airport, with a restaurant, meeting rooms and a private beach. Holiday Inn Nice Port Saint Laurent hotel is set on its own sandy beach, a five minute drive from the Nice Côte d'Azur International Airport is 2 km away. The hotel is walking distance from the bars and restaurants of the vibrant Saint Laurent port area and the Cap 3000 shopping mall. Buses and trains stop nearby for local sightseeing, and Nice city centre is 15 minutes away. You can host up to 220 guests in 7 naturally lit meeting rooms, and up to 450 for a celebration on the beach. The Nice Acropolis Convention Centre is only 15 minutes' drive away. At this hotel you can enjoy: Free WiFi A Business Centre Secure parking for a small fee A complimentary airport shuttle Most of the hotel's chic rooms and suites have private balconies, and the pillow menu helps ensure a good night's rest. Family rooms have 2 double beds so everyone can stay together, and kids stay and eat free. The spacious lobby is the ideal place to meet friends, and dining is a joy at the beachfront Bay Star Café with its modern French cooking and nautically inspired design. You can unwind with drinks in a cocktail bar overlooking the garden, work out at the fitness centre. When you stay at Comfort Hotel Galaxie in Saint-Laurent-du-Var, you'll be near the beach, a 1-minute drive from CAP 3000 Shopping Center and 9 minutes from Promenade des Anglais. 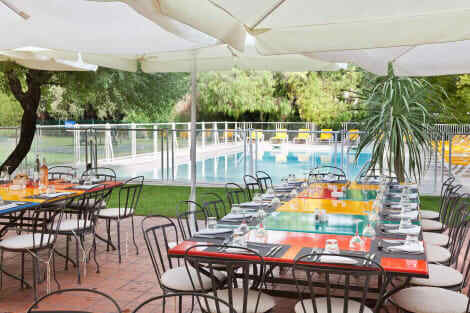 This hotel is 5.4 mi (8.8 km) from Place Massena and 7.7 mi (12.5 km) from Marineland Antibes. lastminute.com has a fantastic range of hotels in Saint Laurent Du Var, with everything from cheap hotels to luxurious five star accommodation available. We like to live up to our last minute name so remember you can book any one of our excellent Saint Laurent Du Var hotels up until midnight and stay the same night.